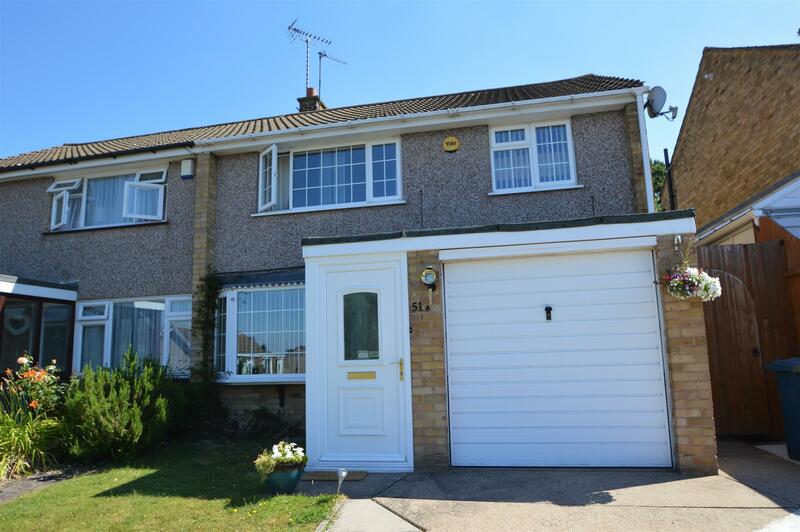 Benjamins are delighted to bring to market this three bedroom semi-detached house located in the sought after village of Keyworth on Mount Pleasant. The property consists of three double bedrooms; a rare feature in comparable semi detaches. Whilst also benefiting from the addition of a conservatory to the rear off the living room, which enlarges the living area. The property has an extremely large garden, making this family home amongst the rarest build & plot types within the village. The accommodation briefly comprises of an entrance porch, living room / diner, kitchen, conservatory, three double bedrooms and a modern family bathroom. Outside there is ample parking on the drive, integral garage and large garden to the rear. UPVC double glazed front door into porch & window to the side aspect, hanging space for coats & door into living room. Tilt and slide UPVC double glazed patio door from living room into the conservatory, currently used as a home office. Double patio doors out onto terraced garden area. With a range of wall and base kitchen units & worktops over, sink with drainer, plumbing for washing machine, space for gas cooker, space for fridge/freezer, larder storage cupboard, heating controls, UPVC double glazed window overlooking rear garden & UPVC double gazed door to the side. 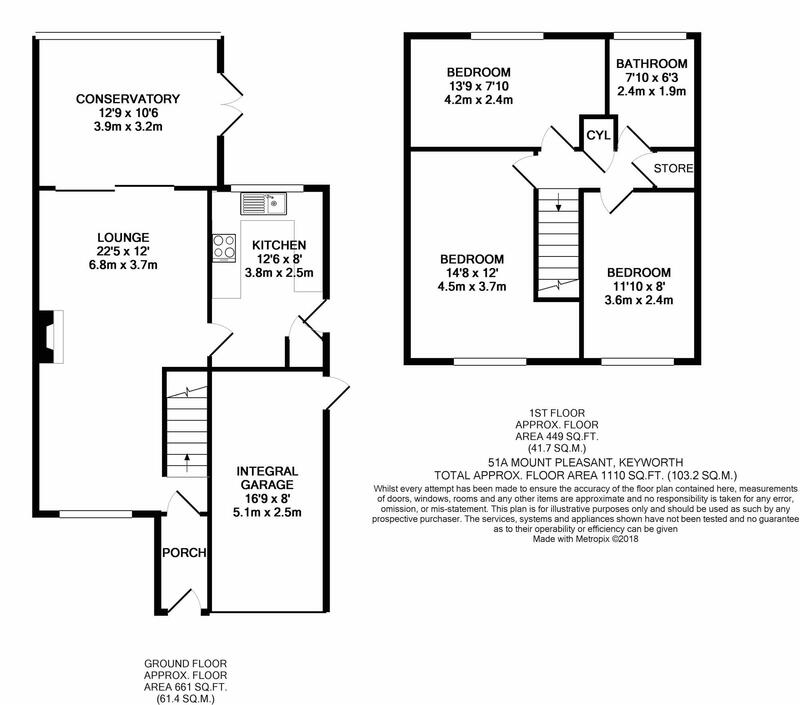 Stairs up to first floor landing, access to loft hatch & doors to three bedroom & family bathroom. Recently updated fully tiled bathroom suite consisting of bath with shower over, wash hand basin with vanity storage cupboard below, low level WC, radiator, UPVC double glazed window to the rear aspect. UPVC double glazed window to the front aspect, carpet, radiator & ceiling light fitting. UPVC double glazed window to the rear aspect, radiator, wood flooring & ceiling light fitting. The rear garden can be accessed from side gate at the front of the property, from the conservatory double doors or the side kitchen door. The rear garden is a great family and entertaining space with several elements to it. There is a patio seating area outside the conservatory doors with steps up to the rest of the garden which is lawned. The garden extends further over the brow of the hill & mostly enclosed by hedgerow. Up & over garage door, UPVC double glazed door out the back to the side of the property, with light & power. The boiler is also in the garage.